Planning a Road Trip? Check out our Roof Racks and SeaSucker! Our catalog is now stocked with Genuine Porsche, BMW, Mercedes, VW, and MINI Roof Rack options. 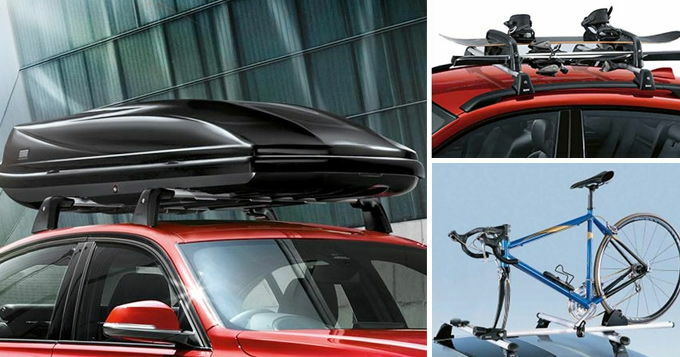 Choose from a basic roof rack or storage options available in various sizes, bike rack options, and even storage solutions for your outdoor sports equipment. You won’t be sacrificing quality as these are true Genuine products that were designed specifically for your vehicle application. Now’s the time to pick yours up so you can take that family vacation, weekend get-away or brand new adventure today! SeaSuckers are vacuum cups, not suction cups. Each product makes use of their pump-action vacuum cups to create a mount that is incredibly easy to use, amazingly strong and enticingly versatile. CLICK HERE to purchase for Porsche! CLICK HERE to purchase for BMW! CLICK HERE to purchase for Mercedes! CLICK HERE to purchase for VW! CLICK HERE to purchase for MINI! CLICK HERE to purchase SeaSucker!